Improve Customer Relations using Speers Cloud and Voice Services. Speers services allows you to be in touch with your customers at any time at low costs. Allowing you the flexibility to scale up as and when required. Speer’s Infrastructure allows you to access Cloud Services from anywhere, which greatly improves reliability and flexibility. Speer Cloud Services gives you the power to collaborate with your customers, using the Internet to make doing business more efficient. Speer’s offering gives you and your employees (or partners and customers) the ability to share, edit, and publish documents in a unified system, improve communication and e-mail, increase marketing abilities, and enhance your everyday business processes. You will never have to worry about the management and maintenance of your own equipment – so you can focus on running your business instead. Not only does this lower costs for customers, but greatly improves the efficiency of your business. Convenience, Scalability, Low costs, Security, Anytime, Anywhere access, and High availability. Improve customer and employee relations by improving the way you collaborate with them. 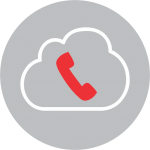 All Things ‘Phone‘: On-Premise and Hosted Services. Speer provides you with an entire host of Small to Medium Business solutions focused on reliability, productivity and ease of use. We know each business has a unique set of needs−there is no one size fits all. Speer offers a full portfolio of applications to unify your communications and increase productivity. We perform an Infrastructure Audit free of charge for new customers. This allows us to work with you to determine ways to decrease your monthly telephone service expense.